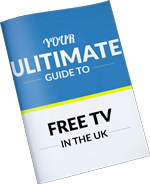 If you have purchased yourself a new Smart TV and want to connect this to the internet for on demand content & streaming services like BBC iPlayer, Netflix & Amazon. You may be wondering what is the best way to connect my TV to the internet? There are a few ways to do this and a lot depends on what you consider to be the best way. For instance you may want to the fastest, most secure connection that is capable of streaming HD or 4K very quickly or you may like the idea of being able to connect your TV without having to install new wires. In this blog I discuss three different options together with pro’s & cons for you to decide which way is best for you. You may find that your internet TV may force you to connect one way instead of another, for instance if it does not have wireless facility. My philosophy is wireless for things that move & wires for things that don’t. This is because to maximise internet speed, performance & reliability I would advise connecting your equipment via a data/ Ethernet cable. This means that it is best to connect PC’s, TV’s etc where possible with an Ethernet cable. As you’re streaming video from the internet you want to avoid slow loading or buffering where ever possible, this is especially true with HD or 4K video where more information is required to form the TV picture so you need the best speed that you can get. This is particularly true if you live in slow broadband area or suffer with a slow internet speed. In fact most of the early Smart TV or Internet compatible TV’s did not support WIFI so you would either have to connect with a wire. This could be a direct Ethernet cable or via a Powerline Adapter link that allows you to send data down the existing electrical circuit. I will come to this later on in the blog. You may also find that your existing WIFI does not reach to where you have installed your Smart TV so you may have to run a data cable in any case. The obvious downside of installing the Smart TV over a wired connection is that it may not be easy to connect your TV to your router with a cable, this may be because the router is on the wrong side of the room or in a different room and you may need tools & skills that you may not currently possess to be able to do this. Or where the TV has been wall mounted & you don’t want to have to hide the cable by banging holes in your walls etc. In which case you may want to hire a professional to install the cable for you or connect your Smart TV over WIFI or via Powerline technology. If assist you in your installation long Ethernet cable leads can be purchased that have the RJ45 connector already attached which means that you will not have any complicated cable terminations. If you are buying cable your own Cat5 or Cat6 cable and instead to terminate yourself. I have some videos on fitting RJ45 plugs & Data modules which maybe helpful to you. This is actually usually very easy, simply plug you Ethernet cable into one of the RJ45 sockets on the rear of your internet modem/ router and then plug the other end into your TV. That should be it with no need to change any settings on your TV. I recommend using a fulling wired Ethernet cable for best possible speed. You can purchase leads that will only have four cables, or two pairs terminated and these will only support 100MB Ethernet at best. Which itself is very fast but you may find over long distance that this drops to 10MB Ethernet which isn’t very fast in today’s world. A fully wired Ethernet cable will have a total of 8 pins connected in the 8P8C plug and will should support Gigabit Ethernet & beyond if your TV supports it. If all the RJ45 connections on your router are full up,extra terminations can easily be added by way of a Network switch. Most of these are simply plug in & go like mains electrical strips. I know for most people this is the preferred method of connection your TV to the internet as it is by far the easiest. If your TV is within your WIFI range you can simply plug your TV to the mains supply. Go into the settings and log into your WIFI. This means that there is no need to install any additional cabling or where your TV is on the wall no need to cut any holes in your walls or make any dust. Although wireless technology & speeds have improved dramatically ,I still strongly recommend connecting your TV via a data cable where possible.As discussed above this will help improve your internet video streaming speed and reduce any unwanted buffering. There are few things more frustrating! That being said this may require a long complicated route which requires you to drill holes & lift floorboards & if your WIFI & internet speed are sufficient why not just connect the TV over WIFI? You may find that it is not even possible to connect your TV to the wireless network with your current set up. Some of the earliest TV’s do not support wireless at all meaning that you have to connect the TV with an Ethernet cable. Others require a USB adapter to be able to provide the WIFI as the TV does not have built in wireless & you may find that your existing WIFI connection simply does not reach where you have installed your new Smart TV. This is usually only the case with large properties or building with thick walls or modern building techniques which use foil lining which reflect the wireless signal. I which case you may need to purchase the USB wireless adapter, these normally not easy to pick up locally so it would be best to order off the internet. If you WIFI is weak you may find that you can sort this with a WIFI Powerline adapter or with an Access Point installation, the latter usually requires that you install an Ethernet cable anyway. Alternatively, if your TV is not wireless compatible you could just purchase a Smart TV stick like a Kodi stick, Firestick or Google Chromecast & connect this to your internet instead. There are a couple of ways this can be done usually. First if your TV is not WIFI compatible plug in your USB wireless adapter if needed first. Once connected navigate to your WIFI settings & find your WIFI network, enter in your password and you should be ready to go. If your TV supports the WPS function I usually use this as instead of having to enter in a usually complicated password, you can simply select ‘WPS’ on your TV and then press within a minute the WPS button on your broadband router. Please note that both the TV & the internet modem/ hub need to be WPS compatible to be able to do this. Most new TV’s are. If you’re setting your TV up for the first time it will usually take you into the internet set up making this process even easier. The final connection I will come to is connecting your TV over Powerline Adapters. If you want to know more about this type of connection,I recommend our previous blog which is all about Powerline Adapters. But here is a brief on using Powerline for your Smart TV. Powerline adapters/ Connections work by sending internet data around your existing mains electrical cabling. They are a two of more pieces set with one being installing near your router& connected via an Ethernet cable & the other sited near your TV. From this depending on the model you have a second Ethernet cable can be installed to connect between your Powerline & Internet TV or you could connect wireless to the power line providing that it is a model that is also WIFI compatible. As you can see Powerline’s are not a completely wireless solution as you still will need to need to connect the Powerline Adapter via a data cable to your broadband router. They may however save you the fuss and bother, along with a few hours of having to run a cable from one part of your house to another. Powerline technology has really taken off in the last few years with the introduction of connected TV’s and internet-based AV content. Because of this you may come across terms like Homeplug AV. This is essentially Powerline but the connection speeds have been dramatically improved over the years to support the streaming of video from the internet. These will have advertised speeds, but which may be 1GB & beyond but take them with a pinch of salt as they never even come close to these speeds. Powerline Connections like are perfect for TV’s that are not WIFI compatible & it would otherwise prove difficult to connect a cable to your internet router or for where the TV is outside your WIFI range and the WIFI signal is weak. This could cause connection issues, slow loading times& buffering which would mean that the Powerline Adapters could save the day here. There are a few downsides to using Powerline Adapters to connect your Smart TV. A big downside of using Powerline is that in order for the kit to work the Powerlines have to be on the same electrical circuits so if you live in a property a large property or a property where the electrical loads have been separated onto different circuits it may not be possible to use the powerlines at all. Also, electrical cables are not designed to carry internet data so they are prone to picking up interference etc so on long cable length you may find that you get a poor connection & poor streaming quality. In which improved performance can be obtained by using an Ethernet cable or even wireless in many situations. It’s important when using Powerline Connections for Smart TV’s that you’re connected directly into the mains electrical sockets and not via electrical adapters or electrical strips as this will affect the connection speed. On wall mounted TV’s also you may find that you can’t fit the Powerline behind the TV in which case you may want to choose a Powerline adapter that’s WIFI compatible too, plug this in somewhere near your TV and connect it over WIFI. I did this recently with a Now TV stick. You obviously have the additional cost of the Powerline kit itself; you can usually pick up a quite good set for around £50 so you may want to filter this into your consideration.I recommend and use the TP-Link range. As mentioned above, depending on the make/ model of your Powerline adapters there could possibly be a couple ways of doing this. Where possible I would recommend connecting the TV to the powerline wit an Ethernet cable but you may need to do this wireless. Plug one of your Home Plug adapters into a mains electrical socket near your broadband router and connect with an Ethernet cable. At the TV position, plug in your second Powerline adapter into a nearby mains electrical point and connect to the TV with a second Ethernet cable. This should be it and ready to go. There shouldn’t be any further configuration required. If you wanted to be able to connect from the Powerline adapter to your TV wireless, please follow this method. Please note that your TV must be WIFI compatible for this to work. Plug in one Homeplug adapter to an electrical socket near your broadband router and connect with an Ethernet cable. It does not matter if this Powerline adapter is WIFI compatible or not. Near the TV, plug in the WIFI compatible Powerline adapter to an electrical mains socket. On the TV navigate to the wireless network settings on your TV. If your Powerline and TV both support the WPS method, you can use this to link the TV easily to your Powerline connection. If not find the appropriate wireless SSID and enter in the password. This is usually a different WIFI network to your main broadband router and login details can often be found on the Powerline itself or including within the manufacturer literature. Once connected check the performance to see that it’s loading fast.If not, you may want to situate the Homeplug some where closer to the Smart TV. Please note that there are technically other ways of connecting TV’s to the internet. I believe in some places it is possible to simply connect your cable TV direct to the TV. This isn’t the case here in the UK. If you have any questions about connecting your TV to the internet or tips on how to improve the connection, please do POST YOUR QUESTIONS IN THE BLOG COMMENTS SECTION BELOW. Please do not e-mail your questions we simply cannot process the amount that we receive. We have started just not answering to them due to the amount of time this takes. Please also do not fill out our website contact forms for the same reason and these are actually only reserved for customers. Please also do not call our telephone lines. There is no one here who can offer technical advice and I do not have time to answer these types of enquiries. I’m too busy running a business! That being said if you post your comment in the blog comment section, I will get back to you. I also appreciate your patience when doing so as I may not be able to respond as fast as you may like. All you need to know about Powerline Networking & Powerline Connectors/ Adapters. Homeplug & Homeplug AV installation tips & advice.